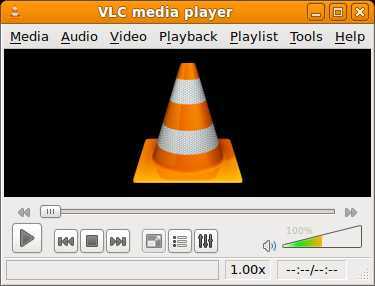 VideoLAN Client media player is a popularly known as VLC Media Player. It is a multimedia player which offers you to play different media file formats. It is a free to use and open source media player software. It is regarded as a highly portable multimedia player which lets you play the available audio and video formats including MP3, MPEG-1, MPEG-2, MPEG-4, MKV, WMV, OGG, MOV, AVI, XVID, FLV, FLAC, WAV, REAL, VOB and DivX for DVDs, VCDs and Audio CDs. You don’t need to download VLC codec pack in addition for audio and video support. The convenient, free to use, basic UI features and amazing options have made VLC Video Player stand at the top position of the free media players. The player is quite a simple tool but yet it offers some amazing and powerful features in one package. So you need not to seek for other media players. VLC should be your number 1 choice. VLC Video Player almost supported for all existing Operating system (OS) like Windows, Mac OS X, Linux, Android etc. Both VLC 64 bit and 32 bit are available for windows OS Here you can free download VLC media player for pc. Coming towards the visual application of this amazing player, it is quite simple and easy to understand with no such highlighting buttons for the enhancement of interface. Furthermore if you like, you may customize some options like layout, changing the VLC media player skin from the Options Menu. VLC media player reviews all media file that is given by user to play. You can organize your media files by making a playlist and bring up the playlist editor. You can easily manage the file by simply dragging them into an indicated area. Furthermore you can also save some configurations like playing the music file later on, combining music files, etc. Beside this, you are also allowed to choose from the available radio stations. VLC media streamer can play many live streaming protocols like: listen live radio, audio playlist, watch online TV channel, Youtube videos and Webcams. Due to these amazing feature VLC music player consider better as compare to others. Though the VLC Music player has got simple interface but still it has a lot to offer. There is a wide range of hidden options available within the tools, video, audio, playback and view tabs. You can have access to different synchronization settings. Like A 12-band equalizer allows you to adjust the frequency sliders for better audio results. For video effects, you can try out adjustments sliders like AtmoLight, crop, geometry, colors and many such other special effects. You can also add subtitles to your videos through addition of SRT file to the video’s folder. You can easily leave and enter full screen mode by double clicking on VLC playback window or by pressing (F) button. Similar to this there are lots of VLC Shortcut Keys that make you comfortable using VLC Player. Developer Team of VLC media player update their application day by day to meet VLC viewer consideration. To sum up, it is a high quality yet stable free video player that plays all formats and packed with a lot of different many amazing features. We always recommend to free download VLC Media Player latest version to enjoy new updated features. Please visit their official website to see new development and latest new about the application. VLC plays anything i.e. any media file, hassle free – what else do you need? "All time great video player"
I think Microsoft should partner with Video Lan and ship vlc player with Windows as we install it anyways.